Should You Upgrade To New Local Google+ Pages? Jade from Google posted a nice FAQ style in the Google Business Help forums on if you should verify to the new social Google+ local business page or not. As you know, about 11 days ago, Google added support to migrate over to these new socially active pages but there have recently been some documented errors when doing the migration. Storefront business with a page in Google+ (under the local business/place category) who are using it regularly: request verification. You will need to get a postcard sent to your business address and enter the PIN. Then, manage this page using the Google+ pages admin. Do not use the Google Places for Business to edit after verifying in Google+. Verified owner in the Google Places for Business: continue to manage your information from the Google Places for Business dashboard and please wait for further instructions. We are working on a smooth upgrade process for everyone. New storefront businesses: (not verified on Google Places for Business) you may create a page in Google+ (under the local business/place category) and go through the verification process. Then, manage your page through the Google+ pages admin. Service area business with address correctly hidden: the upgraded (merged) local Google+ pages are not currently supporting service area businesses. Please continue to manage it via Google Places for Business and hide your address as necessary, detailed in the quality guidelines. Big brand or business with multiple locations: There is no way to link a single brand page to multiple local Google+ pages. Continue to manage your brand page in Google+, if you already have on. To manage your locations, continue to use use the Google Places for Business dashboard. Created a page in Google+ in a category other than local business/place? Only +pages in the local business/place category can be verified and merged with a Google-generated local Google+ page. There is no way to change the category of +pages. You may create a page in the local business/place category and verify that if you’re not currently verified in Google Places for Business. We will not be able to move your followers or content. Data issues? continue to use Edit business details to resolve these issues. Please do not attempt to merge or verify a page with data issues. Someone else verified your social local Google+ page? Please make sure it isn’t a Google-generated page. If you’re sure it’s a social page, you can learn more about admin rights here. Someone else verified your Google-generated page? You can also request verification. 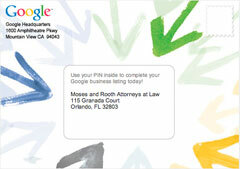 Any Google-generated pages can be verified by any account in Google Places for Business. If you suspect that someone else is adding incorrect information to your Google-generated page, use this troubleshooter.